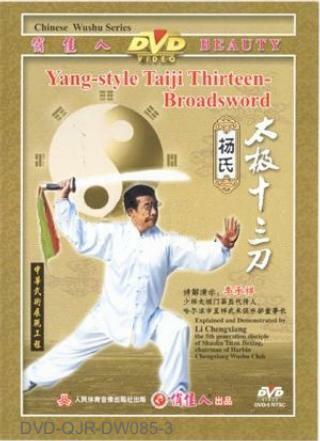 Taiji 13-Brodasword means that there are 13 postures in this broadsword routine and it consists of 38 movements. It is the traditional Yang-style Taiji broadsword routine which reserves the traditional characteristics of broadsword without adding or deducting a single movement. The duration of the whole routine is two or three minutes. When practicing, it shows all the characteristics of Yang-style Taiji boxing, extending upright, contending firmness in softness, roundly and steadily. In the movement, it shows also the features of such as gentleness, smoothness and continuity. So it is a very precious Taiji culture for Taiji boxing amateurs in the succeeding of Taiji traditional culture.